This circular route begins and ends at Kestle Barton and is approximately 2.5 miles. 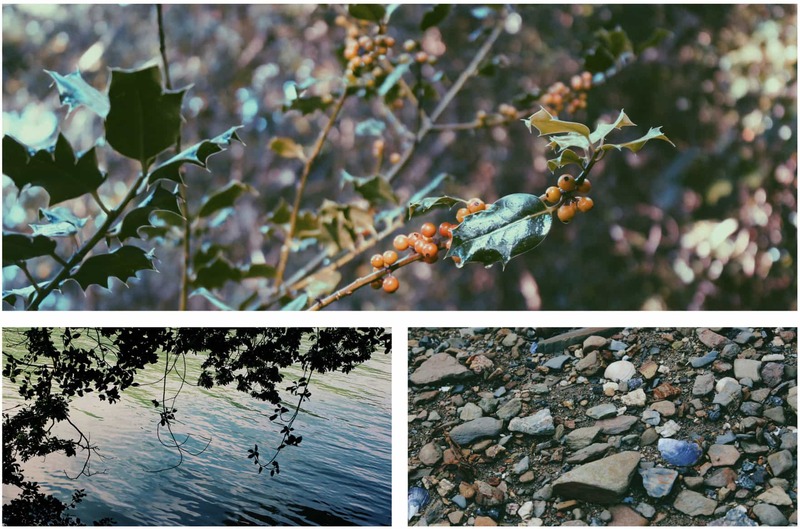 When the lovely folk at Cornwall 365 invited us to The Lizard for their flora, fauna and photography workshop, we were ready for an adventure. 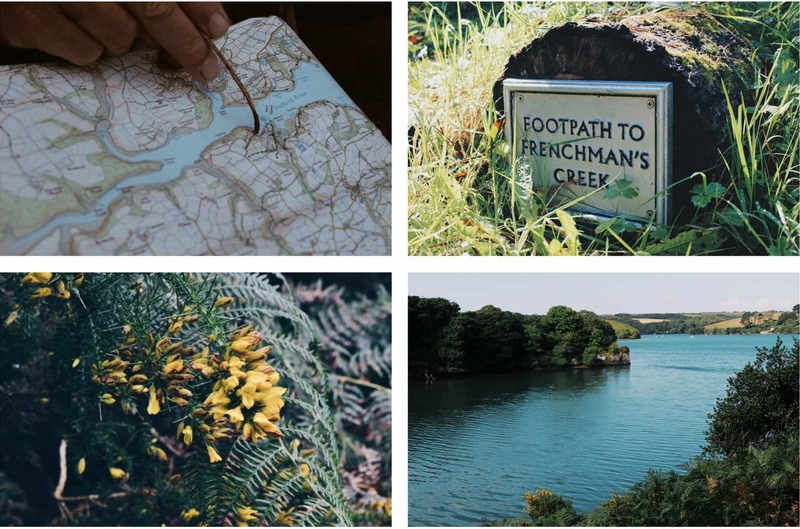 After meeting the gang for a quick coffee and cookies at Kestle Barton, Steve Crummay from Explore in Cornwall led us through the secluded woodland paths towards the Helford River. As we rambled through Frenchman’s Creek we were met with bursts of rain, dappled sunshine and a couple of confident Little Egrets lurking by the rocky shoreline. Famous thanks to Daphne du Maurier’s novel, this idyllic spot is a haven for exotic wildlife and a rich variety of fauna that only exists in this unique Cornish peninsula. From Penarvan cove peppered with fishing boats, we wandered through the quintessentially Cornish Helford village. Vibrant bunting is laced through the narrow roads whatever the time of year here, and the quaint thatched cottages are well worth a photo opportunity. We thoroughly recommend a swift pint or two in the Shipwrights Arms before meandering leisurely back to Kestle Barton. 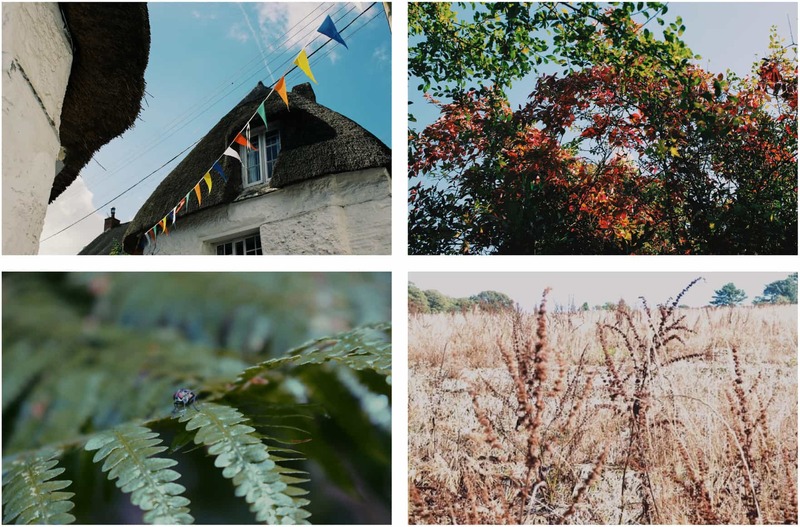 It was at this ancient farmstead that we finished our circular walk, and tucked into a delicious vegetarian lunch amongst the colourful gardens that were alive with the scents and colours of autumn. Pelicans sometimes find themselves flying here!